I’ll be honest, the first time I ever tried iced coffee, I didn’t like it. It was basically really strong coffee over ice. Then when coffee shops and Starbucks started popping up every where a whole new world opened up!! First it was frappuccinos, then I decided to try the iced coffee again, and one sip and I was in love with the tall glass of sweet creamy iced coffee. Determined to kick my coffee shop habit (or at least cut it back) I started making frappuccinos and iced coffee at home. It just takes a little forethought. You see, you can’t just brew a cup of hot coffee and pour it over ice….of course that is just going to dilute the coffee. And you could brew hot coffee, allow it to cool then chill in the fridge…. but when you change the brewing process and cold brew coffee, where the coffee grounds are steeped in water and chilled overnight— the flavor is strong, but smooth and has a less bitter finish. 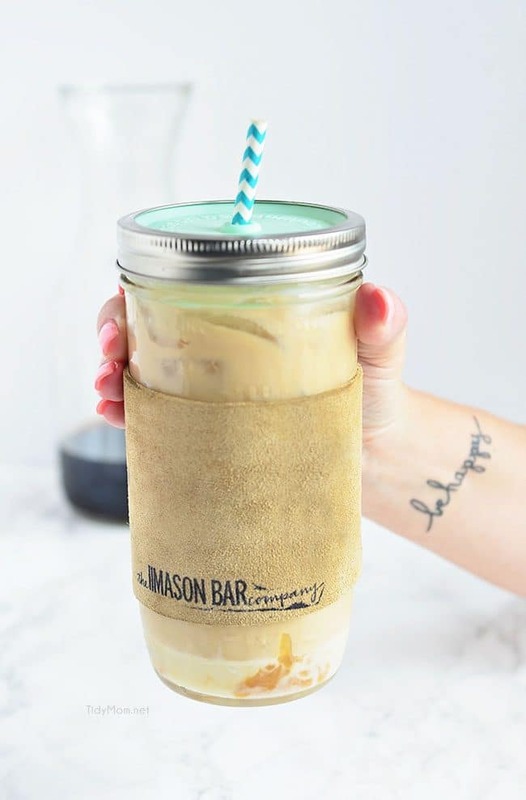 So, what you want to do is make a batch of coffee concentrate to keep in the fridge and you can have iced coffee any time you want, for a fraction of what the coffee shops charge. 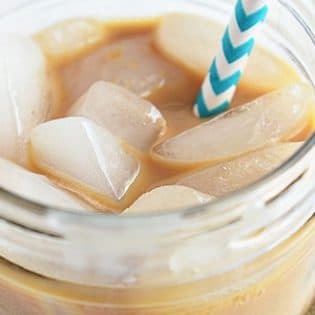 I prefer a sweet creamy iced coffee and lately, salted caramel iced coffee is my flavor of choice, and it’s easy since I usually have all of the ingredients on hand. 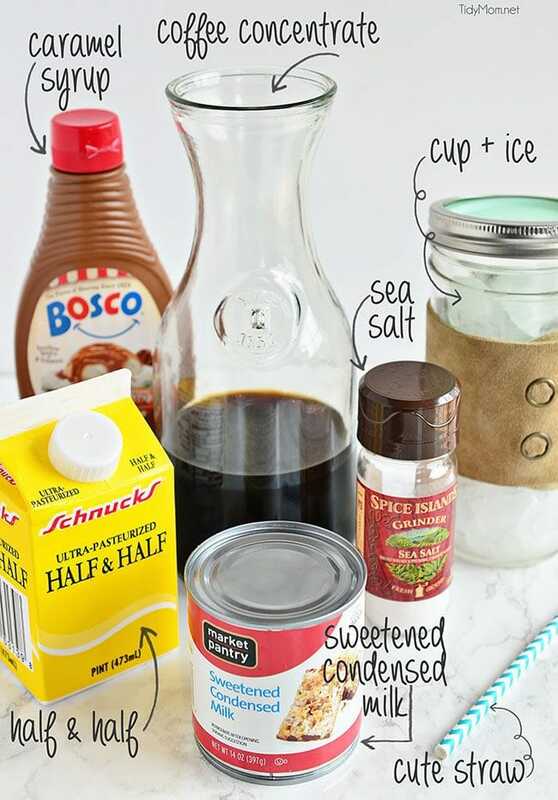 Sweetened condensed milk is the secret to creamy iced coffee nirvana. add a straw, stir and taste! To find the rest of this month’s 10 Minute Ideas, you can visit my friends. I wish I was sipping on this right now! 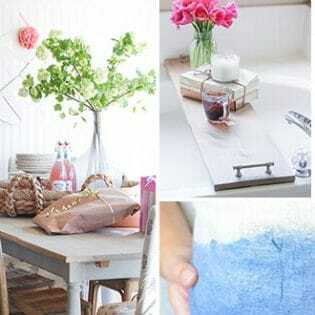 Looks wonderful and I love how easy it is! Whether it’s summer or winter, I will always be obsessed with iced coffee!! 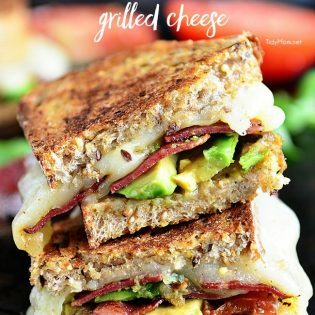 So, this recipe is right up my alley 🙂 Can’t wait to give it a try! There’s something about salted caramel in the fall that makes me SO happy! Yes, please. Even the smell of coffee makes me happy! This would make any morning an 11/10 situation! Also, your tattoo makes me happy! 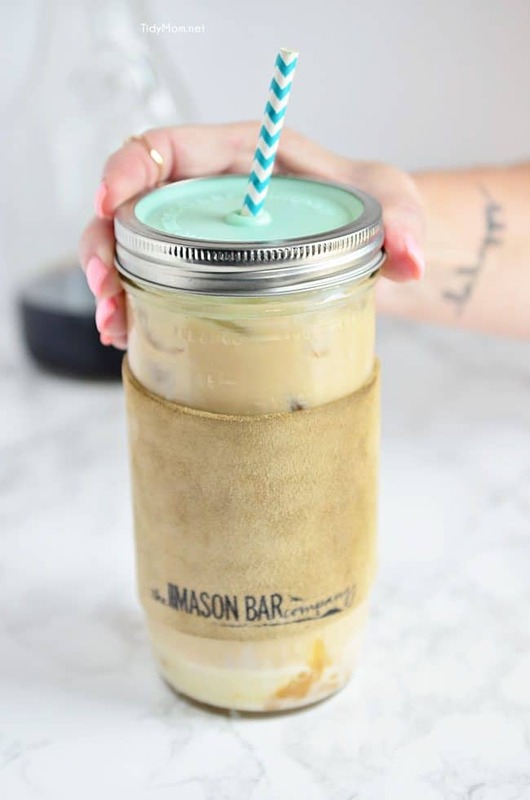 I too am a lover of ice coffee – can’t wait to try this version! I’ve stopped drinking coffee, but I couldn’t say no to a glass of this deliciousness!!! I have been on such a salted caramel kick lately. The more I try to forget about it, the more I WANT IT! Tossing into coffee is brilliant. Guess what I’m doing tomorrow morning?? 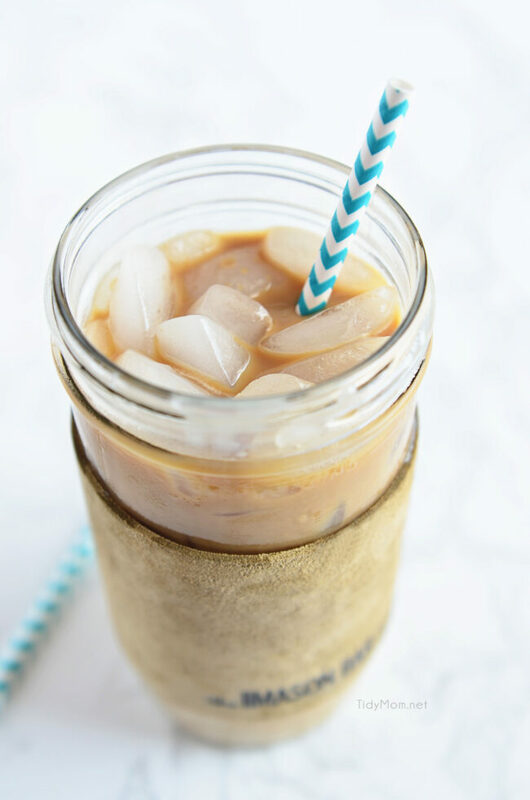 I switched from coffee to tea years ago, but I’d never say no to your fabulous iced coffee!!! I wish I was sipping this coffee right now! I could totally go for this RIGHT NOW!! Caramel and coffee, the best! This looks absolutely heavenly right about now!! So much cheaper to make at home too! Does the caramel float to the bottom? I’ve noticed that when I make cold brew coffee and add flavor to it, it often doesn’t stay mixed up, but the syrup goes to the bottom. Any suggestions for this? I stir mine up all the time, even when I buy them at the coffee shops, I stir with my straw often. Do you have to use coffee concentrate.? well, coffee concentrate is coffee made with less water to coffee ratio – if you don’t use concentrate, it will have less flavor, more watered down. Probably dumb question, but what is coffee concentrate? What size is the cup you are using? This sounds so good. It also sounds extremely sweet. On a scale of 1-10 how sweet is this? I would think the caramel is sweet enough. Would just using half and half without the sweet condensed milk change the flavor much? Found this recipe while using StumbleUpon. Let’s just say, it is now bookmarked and pinned for later! Is the EBay address supposed to be a place to get the Concentrated recipe? I can’t get it to work. Thank You.